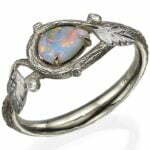 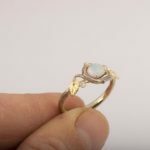 A handmade ring set with a beautiful Australian opal stone and two small diamonds. 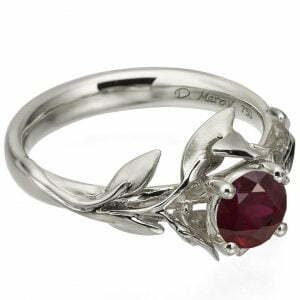 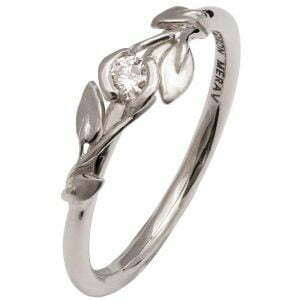 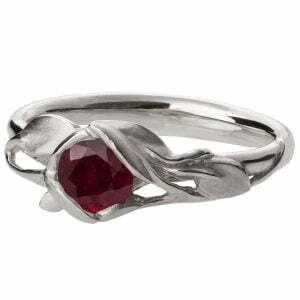 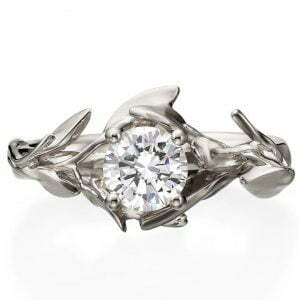 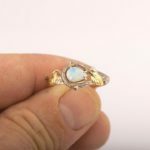 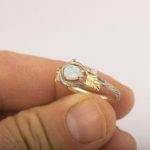 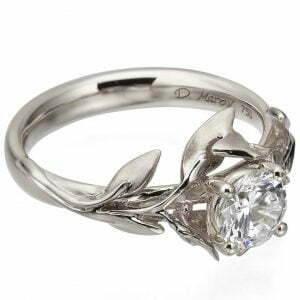 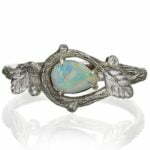 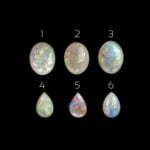 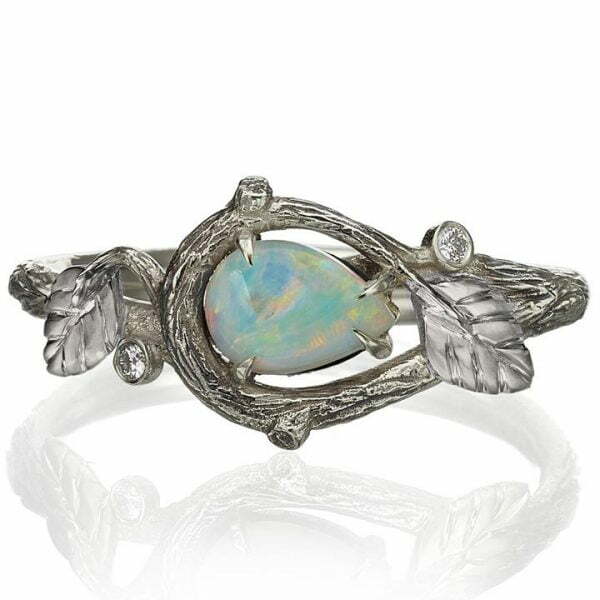 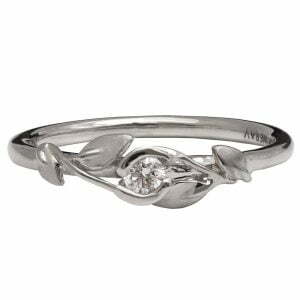 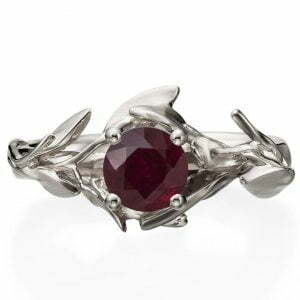 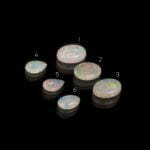 The ring displays a natural leaves composition that will slightly change depending on the opal you choose to set in your ring. 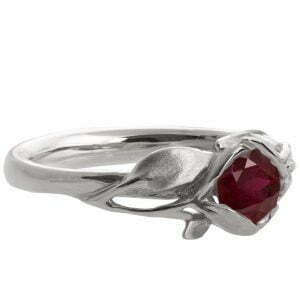 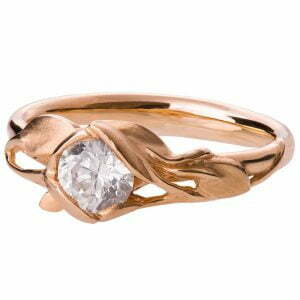 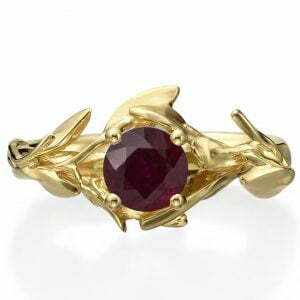 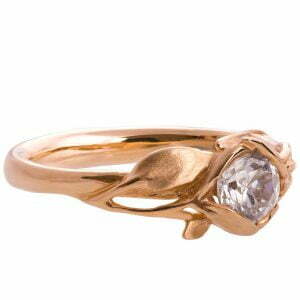 This ring pictured is about 9.5mm wide at the widest point. The band is about 3mm wide in average in the back.